(Newser) – Chen Guangcheng, the blind Chinese activist who was the focus of a nearly monthlong diplomatic standoff, has a speaking engagement in New York City this week. Chen will speak Thursday at the Council on Foreign Relations in Manhattan. His mentor, New York University law professor Jerome Cohen, also will participate in the event. Government aid for the blind in China is almost non-existent; millions are forced to live in rural areas where no heat or running water is available. It would be kind of Chen to help bring them to America where they will be provided with a decent life. 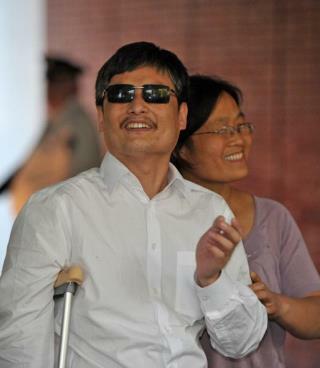 Seems like every article on Guangcheng he's called 'Blind Chinese Activist'. Pretty soon we're just going to call him BCA.